Interesting sand structures built by creatures found along Alona Beach, Panglao Island, Philippines. A rainbow in a glorious morning along Alona Beach, Panglao Island, Philippines. Enjoying the clear waters and warm sunny weather at Alona Beach, Panglao Island, Philippines. A resort restaurant along Alona Beach, Panglao Island, Philippines. Dining at Barrio Fiesta, Marriott, Cebu City, Philippines. Natural wonder of Chocolate Hills, Bohol, Philippines. Durian, the Mindanao pungent fruit, which they say smells like hell but taste like heaven. Biggest mall in Asia...the Mall of Asia, Manila, Philippines. A display of Philippine native hats in Vigan, Ilocos, Philippines. Pretty girl posing at Tagaytay Higlands edge overlooking the Taal Volcano and Taal Lake. The family posing at Tagaytay Higlands edge overlooking the Taal Volcano and Taal Lake. The view of Golden Buddha of Tagaytay Higlands community resort. Tagaytay Higlands community resort bridge over pool. World Heritage's most well-preserved 16th century Spanish colonial town in Vigan. 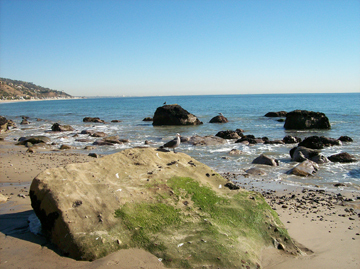 Rock formation along Malibu Beach, California, USA. A meditation place in Malibu, California, USA. Chipmunks at La Jolla, San Diego, California, USA. La Jolla, San Diego, California, USA. Strolling along Venice Beach, California, USA. Enjoying the sunset in Venice Beach, California, USA. Sunset view of houses along the Venice Beach boardwalk, California, USA. Sunset in Venice Beach, California, USA. Bird with a view at Venice Beach pier, California, USA. Bird with a view of Venice Beach coastline, California, USA.